When you first hear the word innovation, what comes to mind? Is it large, successful companies such as Apple, Tesla, or Amazon? Or is it simply the creation of something new? Perhaps you tend to think of companies that failed to be innovative and thus suffered the consequences such as Blockbuster and Polaroid. For Victaulic, this hits close to home as we are a mere fifteen minutes away from Bethlehem Steel, one of the largest steel manufacturers in the nation that declared bankruptcy in 2001. These failed companies all have one thing in common, they were stagnant. The worst thing a business can do is remain stagnant. We’re currently engulfed in a global entrepreneurship movement where innovation is at the heart of everything we do. These past 100 years have been some of the most innovative of all time. We have been fortunate enough to experience some of the greatest technological advances to date (i.e. the internet, antibiotics, renewable energy, smartphones, and self-driving cars) and there’s no sign of slowing down. 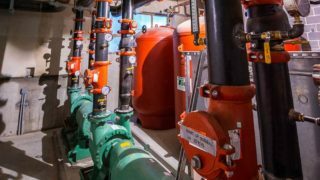 For a nearly 100 year-old company, submerged in the pipe joining industry, innovation may seem difficult, even daunting, but definitely possible and certainly needed. The reason Victaulic is still leading the pack 100 years later is because they have the people, the passion, and the ability to innovate and go where others won’t. Victaulic’s roots go all the way back to the invention of the coupling – a mechanical joining solution that had never been thought of before. From there, a business was built around the very foundation that it was started on – innovation. With the world and technology evolving, Victaulic evolved with it. With this evolution, new products were conceived and new markets were entered bringing grooved solutions to even the most challenging projects around the world. Large, revolutionary projects such as the Hoover Dam and Panama Canal called for Victaulic’s innovative, easy-to-assemble joints. As the world grew, so did the demand for Victaulic products. Victaulic is in eleven of the twelve tallest buildings in the world, six of the ten deepest mines, and has been in more than twenty different Olympic stadiums. Victaulic’s innovative technology is not only changing the pipe joining industry but is also becoming the standard for excellence that many impressive facilities across the world seek. 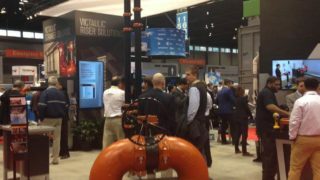 Today, Victaulic is still leading the charge for innovation with over 2,000 global patents spanning nine different industries. 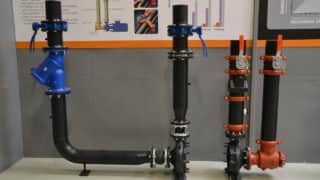 What started as a simple company with a single product and a vision to transform the pipe joining industry has developed into something much bigger. This sense of corporate entrepreneurship is what has helped separate Victaulic from its competitors over time. By setting the bar high, and continuously coming up with innovative solutions, Victaulic has completely changed the industry. For this reason, Victaulic will still be around 100 years from now because they have consistently been the leaders of change. As William Pollard once said, “Without change there is no innovation, creativity, or incentive for improvement. Those who initiate change will have a better opportunity to manage the change that is inevitable.